White House officials have learned that President Donald Trump’s cellphone conversations are being intercepted by Russia and China to gather information on his associates and policy positions, The New York Times reports. The officials cited in the report, who remained anonymous, said they were alerted by individuals working within these foreign governments. They said the Chinese have determined a list of contacts with whom the president speaks most frequently. The president keeps two official iPhones with modifications by the National Security Agency, and a third personal phone for personal contacts, White House officials said. But using any cell phone poses some risk. 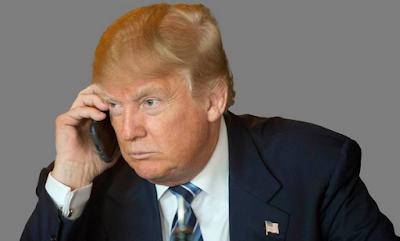 The report indicated Trump prefers using his cell phones over the White House's more secure landline. China has sought to use the information to form ties with Trump’s associates or "friends of the Trump friends" to ensure Beijing’s views will be delivered to the president, according to the officials cited in the report.